On April 20, 2010 there was an explosion on the BP Deepwater Horizon drilling rig in the Gulf of Mexico. The initial oilrig explosion killed 11 people and injured 17 others. More than 200 million gallons of crude oil was pumped into the Gulf of Mexico for a total of 87 days, making it the biggest oil spill in U.S. history. BP is responsible for close to $40 billion in fines, cleanup costs, and settlements as a result of the oil spill, with an additional $16 billion due to the Clean Water Act. Among the many factors that lead to this disaster, the main cause of the explosion was due to a malfunctioning blowout prevention valve that would have prevented the initial explosion. About 8 minutes before the explosion, a mixture of mud and gas began pouring onto the floor of the rig. The crew immediately attempted to close a valve in a device called the blowout preventer, which sits on the ocean floor over the top of the well borehole. When the valve did not close the ending result was an explosion that traveled up the drill and spread throughout the rig until it was fully engulfed in flames and eventually sank into the ocean. Tony Hayward, the CEO of BP, commented that the disaster was a freak accident that could not have been predicted; this however is a lie. One week before the valve was installed, the head mechanic who over saw and worked on the valve desperately tried to contacted BP mechanics, management, and even the CEO to recall the mechanism. He had found that after the valve was assembled there was a single screw left behind. Although a single screw may seem insignificant, every part of the mechanism serves a vital role in its function. After sending appeals and continuously trying to contact BP about the issue, all his efforts fell on deaf ears. On the morning of April 20, the mechanic turned on the news during his daily routine only to find that the head story was about an explosion on a BP oilrig. 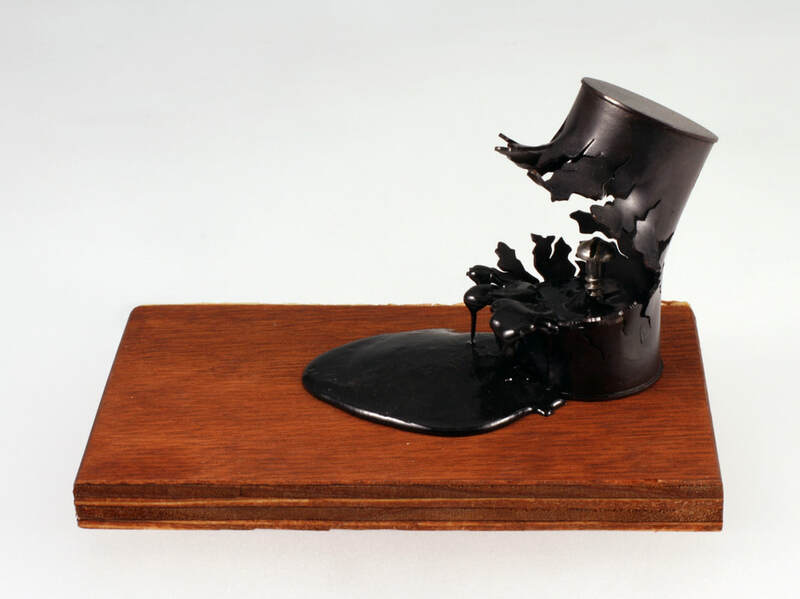 He instantly knew what the cause was and in a state of anger and frustration he began making an award for the CEO of BP, the last person he contacted before the disaster. On this award he included the missing screw that caused to problem. ​The next morning Tony Hayward found the award on his desk with a simple note that said “Congratulations".